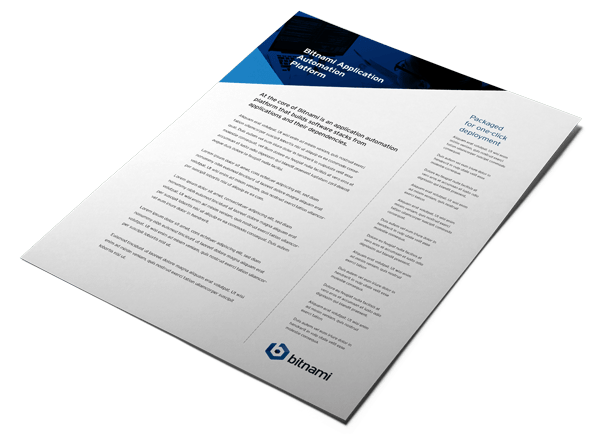 Bitnami offers a suite of products and projects that accelerate the delivery of applications and containers to multiple clouds. Built modularly, Bitnami easily plugs into anywhere in your application pipeline and deploys to any major cloud platform. Looking for production-ready server applications you can trust? Need to package and maintain applications for multiple clouds? Looking to self-manage production-ready WordPress deployments in the cloud? Provide us your details to receive the Bitnami Newsletter for news, events and more.